Morning! 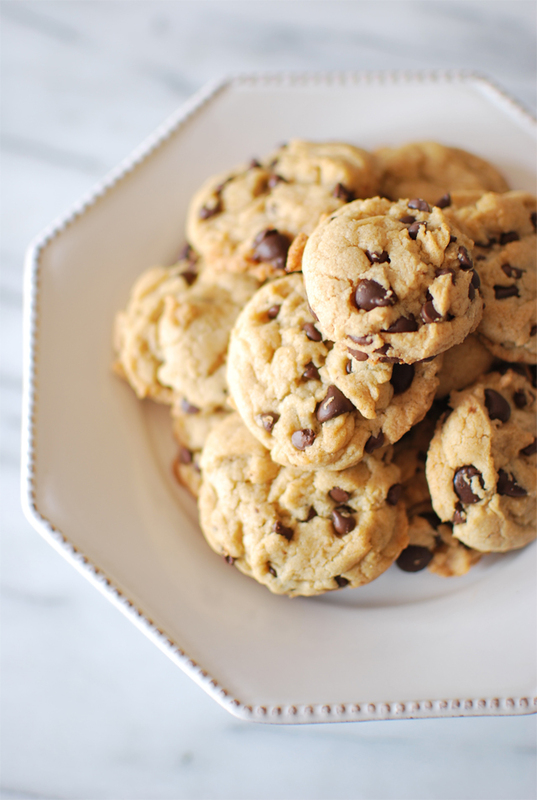 I thought I'd get this week started off by sharing a delicious chocolate chip cookie recipe that is dairy and soy free. Although it is dairy and soy free, it is by far one of the most delicious chocolate chip cookies I've ever had and the best part is, you can eat the cookie dough raw without worrying about getting a tummy ache! 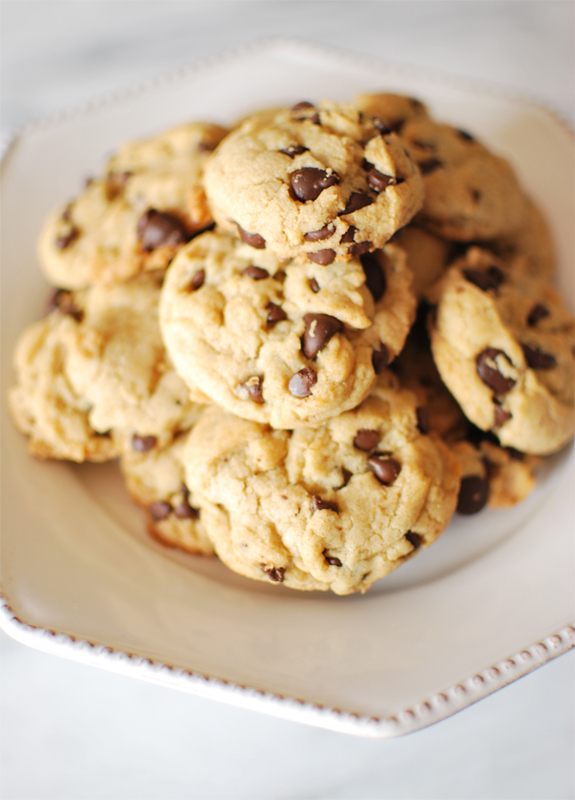 And who hasn't gotten cravings for chocolate chip cookies when they didn't have any eggs in the house? 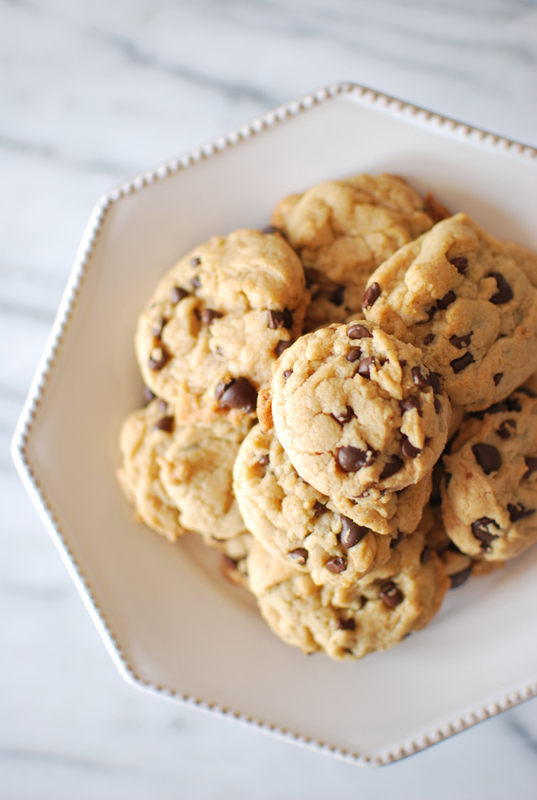 Well, now you don't have to have eggs in the fridge to make these cookies. As long as you have butter (or in my case Earth Balance buttery spread, a butter alternative), you can make these cookies. But I will warn you now, that once you make these (that is if you don't eat all of the dough first! ), they will disappear right quick. Because you, along with anyone else who indulges in these, will absolutely inhale them. - Preheat your oven to 350˚. - Put the Earth Balance, sugars and vanilla in a bowl. - Using a mixer, beat until light and creamy, about 2 minutes on medium speed. - Add the water and mix until blended. - In a separate bowl mix the flours, salt and baking powder. - Turn the speed of your mixer to the lowest setting and add the flour mixture. - Mix until the flour is incorporated. - Stir in the chocolate chips. - Place scoops of cookie dough on a cookie sheet and bake for 13 minutes. - Allow to cool a few minutes on the cookie sheet before removing to a cooling rack.